A magnet is of no use without strong magnetic power and magnetic properties. And so China High Tech Corporation Limited has come up with best Neodymium magnet. This is a strong magnet which has high magnetic power and strong magnetic force which make this magnet comparatively stronger than other magnets. Also, the cost of this magnet is comparatively less than other strong magnets. These properties have made it the most used strong magnet nowadays. This magnet is composed of three elements which are iron, boron and neodymium. This was invented in the 1990s so as to replace the costly Smco magnets which all manufactures were unable to afford. The best part with neodymium magnets is that we can ensure shine to this magnet by the costing we wish and the extent we desire. And China High Tech Corporation Limited is always present at your service to provide you with the best quality and shinny neodymium magnet. Also neodymium magnets can hold 1300 times the weight of its own which makes it a super magnet. This is another superior feature of neodymium magnets that makes it the strongest magnet. Not all the characteristics of neodymium magnet are favorable. This magnet gets rusted very easily which ensures that neodymium has a short life, but experts have found out a solution for this problem as well. It has been finding out that by coating neodymium with copper-nickel plating, silver, black proxy etc it can be protected from rusting and we can thus increase the life of neodymium. Although neodymium magnets are strong magnets capable of withstanding high magnetic force but SMCO magnets are also not much behind. 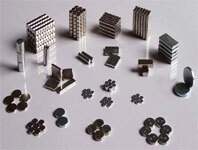 Smco magnets also have strong magnetic properties and are very efficient. In the aerospace industry, SMCO magnets are used over neodymium magnets as they can tolerate higher temperatures and have more strength as compared to neodymium magnets. Apart from this two, the Alnico magnets also are highly efficient magnets with strong magnetic properties and are strong magnets. The major setback with these magnets is their high price. Also, there are few cases where we cannot replace them neodymium magnets and has to use high priced alnico magnets only. China High Tech Corporation Limited provides the best and the most reasonable alnico magnets so visit our website and feel free to contact anytime. Get The Best Of All Here!!! From neodymium, Smco and alnico you will get everything at China High Tech Corporation Limited. 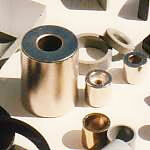 We supply the strongest magnets with the most reliable magnetic properties. We take care of all the harms and losses associated with each magnet and give you the best in quality and the most appropriate for your purpose. So, get connected and get the desirable and required strong magnets.